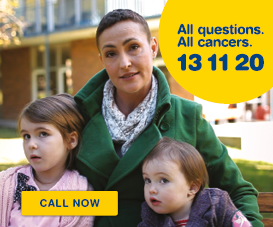 We believe that no one should go on a cancer journey alone, which is why we need people like you to volunteer with us in whatever way you can. Be doing something you’re passionate about. Have a real impact in your community. Meet new friends and like-minded people from a range of backgrounds. Hear first hand from our volunteers about why they got involved and how you too can join the team. 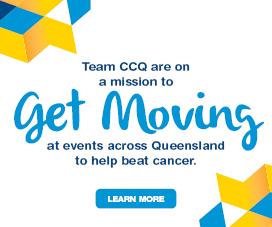 We value the time volunteers give to Cancer Council Queensland and however you get involved we will keep you informed and up to date. Each year we hold thank you celebrations in each region, we believe it’s important to take the time to say thank you for our volunteer’s hard work and dedication. We recognise that our vital work across the state would not be possible without their efforts. 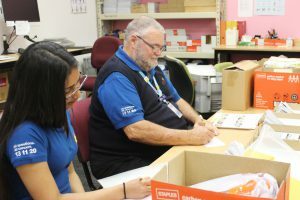 We are lucky enough to have volunteers who have been with us for many years and we acknowledge each five-year milestone with service awards and badges. Volunteers make a real difference to the lives of people affected by cancer. We want to make sure they have the tools they need to help them in their roles. Our online training portal is a fantastic resource for our volunteers, providing an in depth introduction to our services and allowing them access to support and information from anywhere in Queensland. 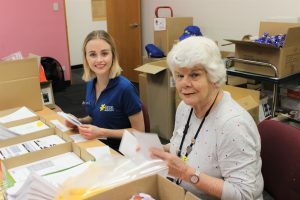 We keep volunteers as up to date as possible so they are well informed to do their work and know that their time is making a difference in Queensland. Our newsletter Volunteer Voice is packed full of program updates, volunteer profiles and interviews.We also have an Alumni program for retired volunteers and they receive our Friends of CCQ newsletter. Volunteers and employees are ambassadors of our brand and are all offered a Being CCQ kit. 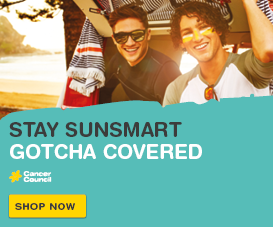 This contains everything we need to present ourselves in the community, including a polo shirt and sun smart hat.